Our podcasts share information, opinions and stories from people whose lives have been touched by adoption. Alex, aged 18, & Julia, 22, were both adopted as babies. They talk to Chris Burton about complex families, their own struggles, other people’s attitudes to adoption, support, school and their hopes for the future. In this episode Chris Burton talks to Clare Brasier, adoptive Mum of 2 and co-founder of The Cornerstone Partnership. Professor Julie Selwyn is one of the most respected figures in UK adoption and fostering. She runs the Hadley Centre for Adoption and Foster Care Studies at Bristol University. Her research has had great influence on the way in which we think about and help vulnerable children. This was recognised in the 2016 New Year’s Honours when she was awarded a CBE for services to adoption and looked-after children. 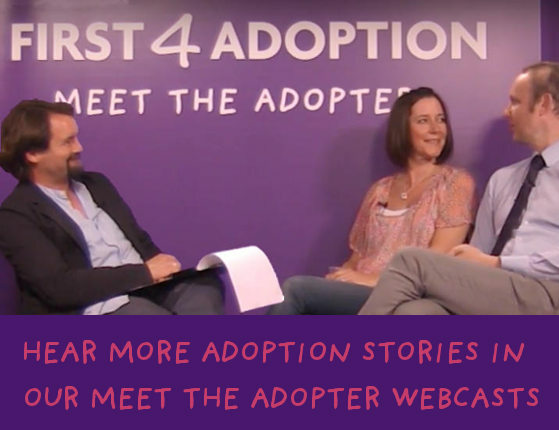 In this wide-ranging podcast she talks to First4Adoption’s Chris Burton about her work as a social worker and academic, the healing power of families, the importance of therapeutic support and the lifelong nature of adoption.